The OPW is hosting an information briefing about road closures and transportation arrangements for the visit of Pope Francis to the Phoenix Park. Residents are welcome to attend the briefing. At least a year ago (July 2017) a concrete path was given a poor quality temporary fix with tarmac. A proper fix has just been completed. Photos of recent extensive graffiti passed onto FCC Litter Wardens who will use them to prosecute the offenders. In January FCC committed to installing a bin to help tackle littering at Riverwood Way. It was installed in late June. We have tasked Fingal County Council Operations with a number of tasks. They have started to deliver these and plan to complete them within the next two weeks. Watch or cycle in a pop up style Velodrome at FCC offices in Grove Road (behind library) on Wednesday 13 June as part of Bike Week 2018. The bin inside the tennis courts disappeared in January. Fingal County Council have installed a replacement bin. The Monthly Fingal PPN Newsletter for May 2018. New “Bin the Poo” dog fouling signs have been put up in the estate and FCC gave us new very readable tennis court stickers. 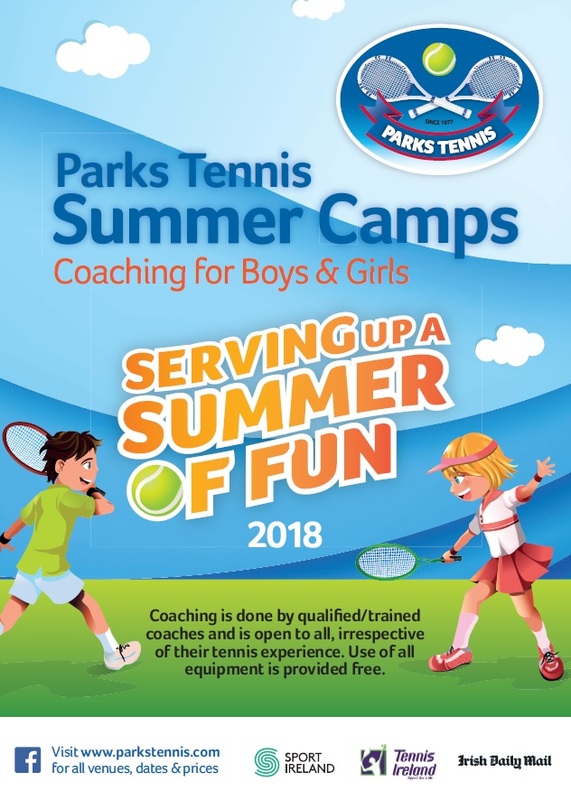 Sign up on Friday 29th June (2-4pm) for a month of tennis coaching (2nd – 27th July).